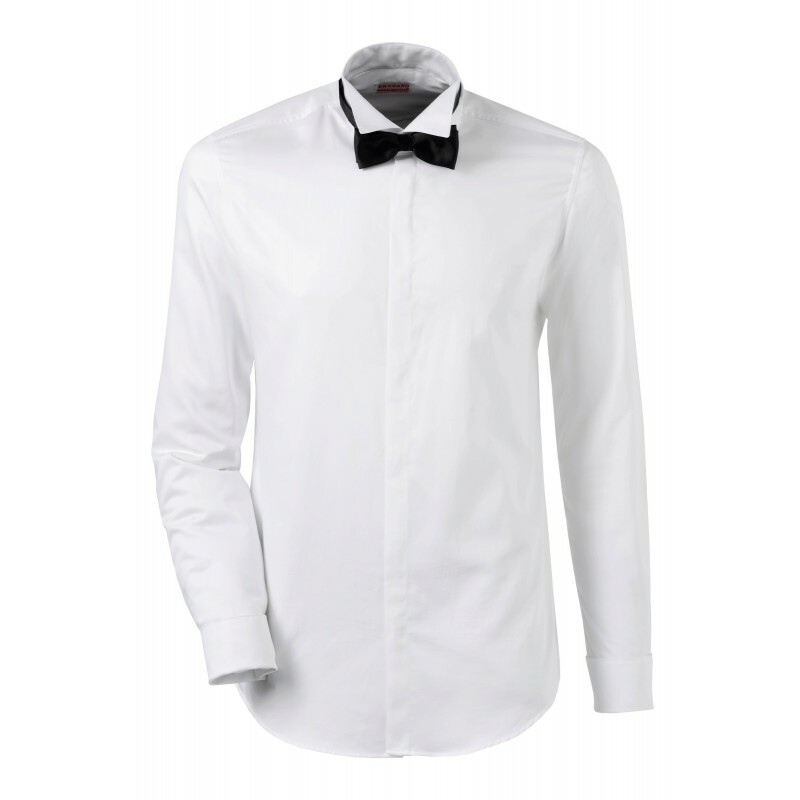 Men’s shirt. 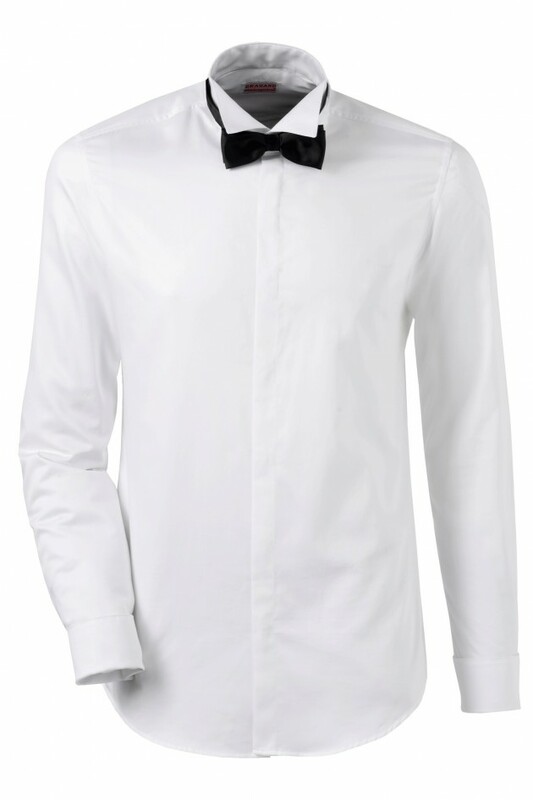 Wing collar with tunnel for putting bow-tie. Press-stud fastening concealed under placket. Yoke lined back. 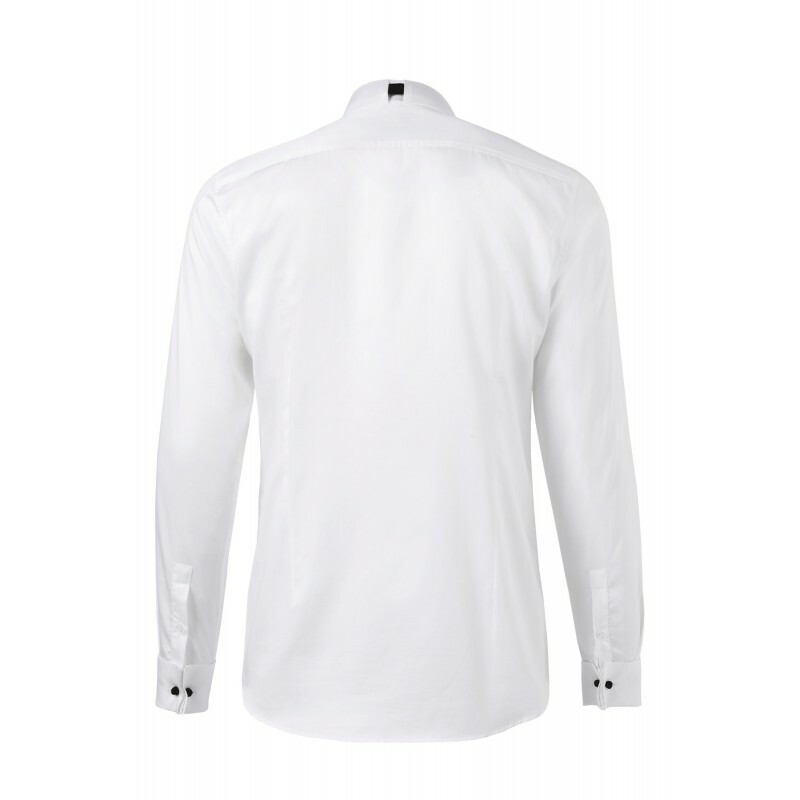 Long sleeves with closed French cuff using cufflinks.